This is a superb pair of early tongs by Nathaniel Smith & Co. of Sheffield. They are of a lovely shape with crisp and clear bright cut engraving. 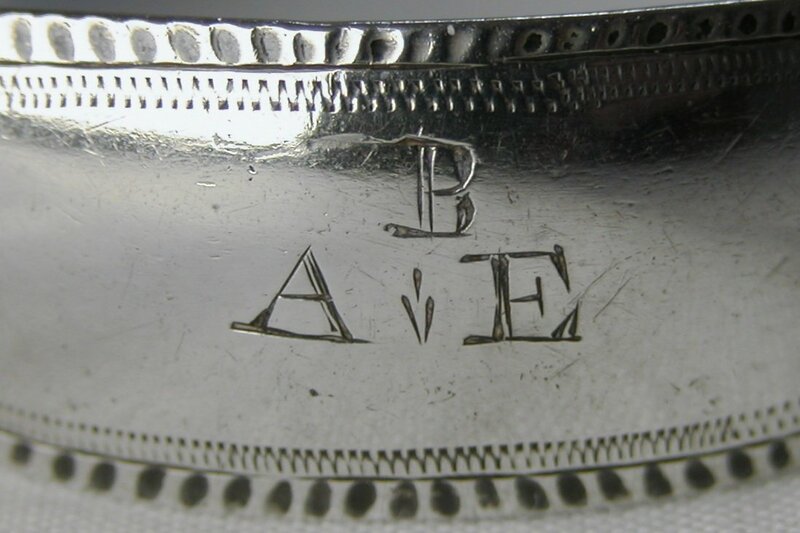 they also have beautiful clear hallmarks for Sheffield 1787. The question is - are they damaged?? The tongs were sold to me by a highly reputable dealer who was concerned that I would not want them because of the damage. 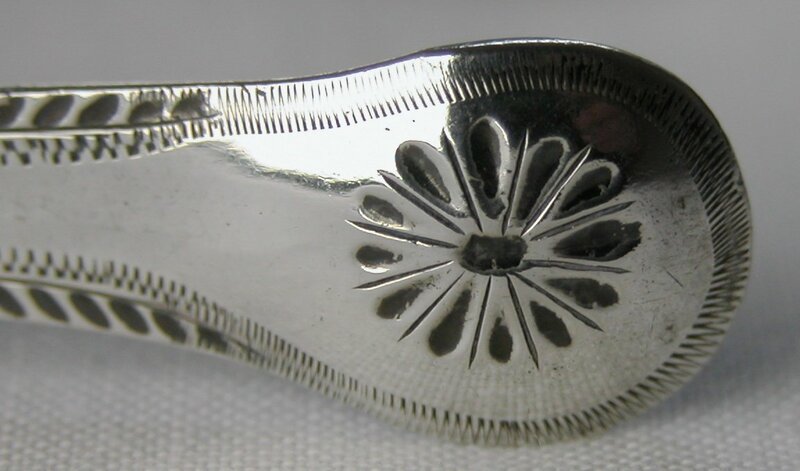 In fact if you look very closely, you can see that the apparent damage are imperfections in the silver that have been there since the day the tongs were made. They are actually not perfect, however I would not class these tongs as damaged. They were originally made, and sold, in this condition. You could never state that these tongs are in perfect condition, however I would argue that they are just as good as an apparently undamaged pair of tongs - as they are not repaired and in fact have not been damaged during their life-time. They were not made to perfection - and perhaps a good quality control process might have rejected them when they were made. Should they be classed as damaged? I don't think so. Should they still be valued the same as an "un-damaged" pair - well, perhaps not quite the same - but not far off. Do click on the pictures to get a better, enlarged view of the marks.